I love vintage style, especially the 1920s and 1960s. 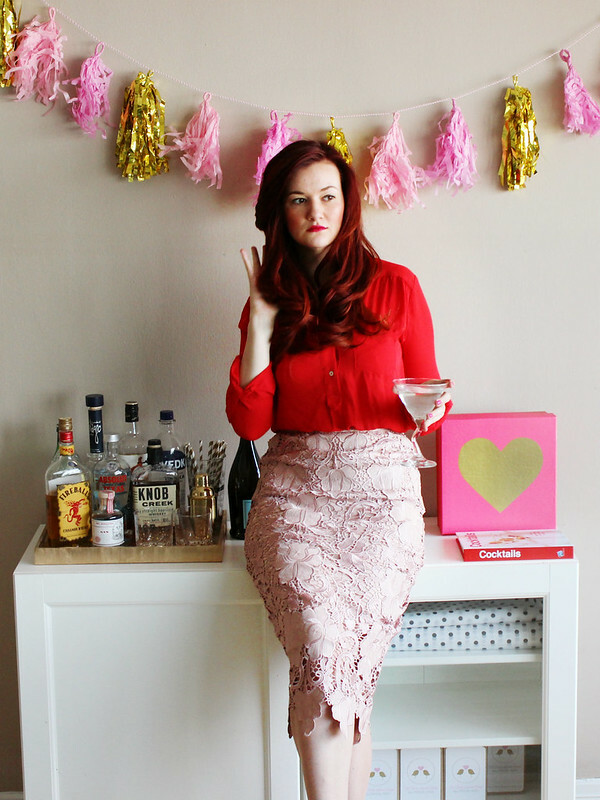 This Valentine's Day outfit is very Mad Men inspired...think Joan (obviously I love a fabulous vintage redhead)! 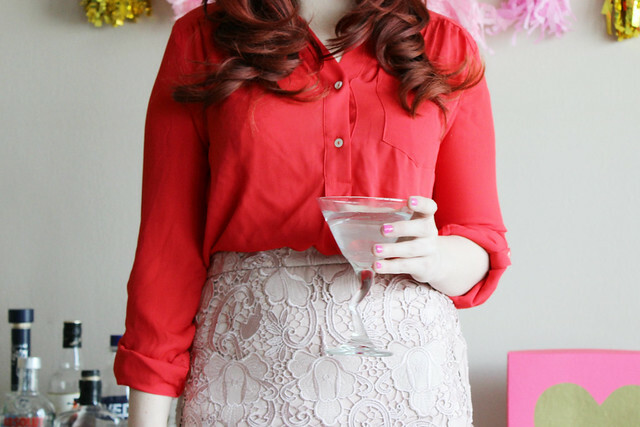 Whether you are staying in with someone special or hosting a fancy dinner party, this outfit is the perfect choice. 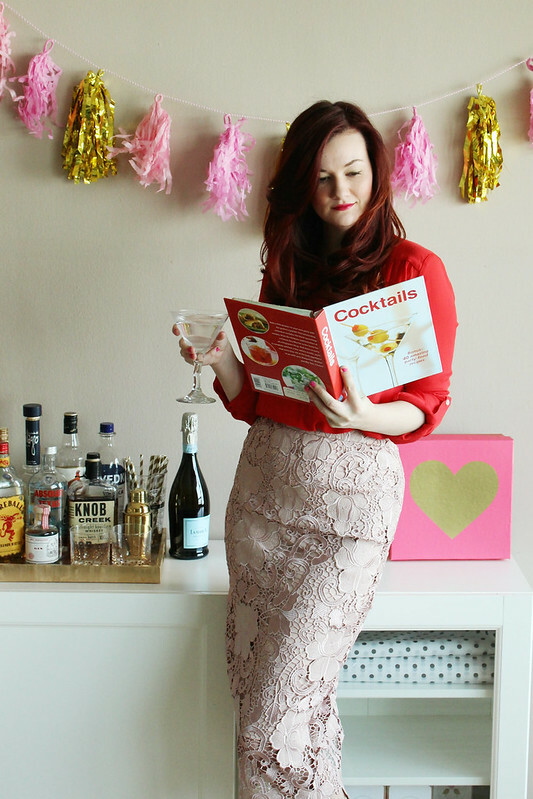 It's perfectly suited for mixing cocktails and fabulous conversation. 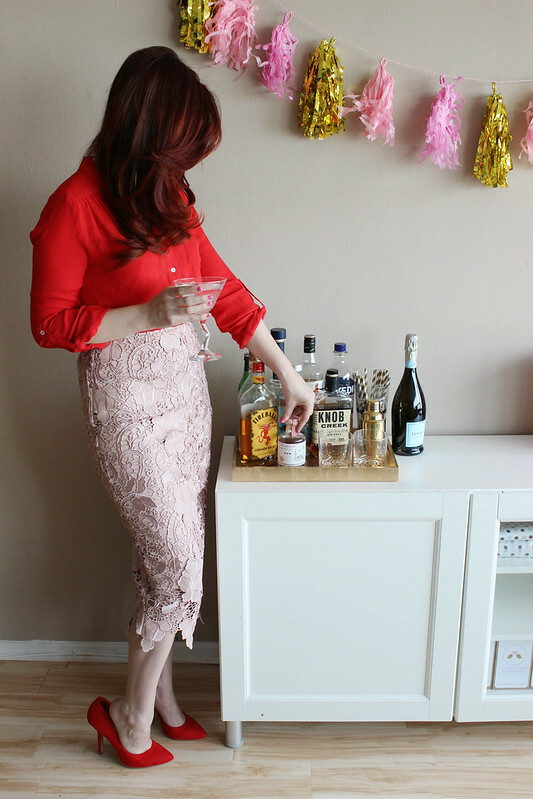 By having both my top and heels be the same color red, it really allows my lavender lace pencil skirt to be the star of the show (and one of my all time favorite items I own). 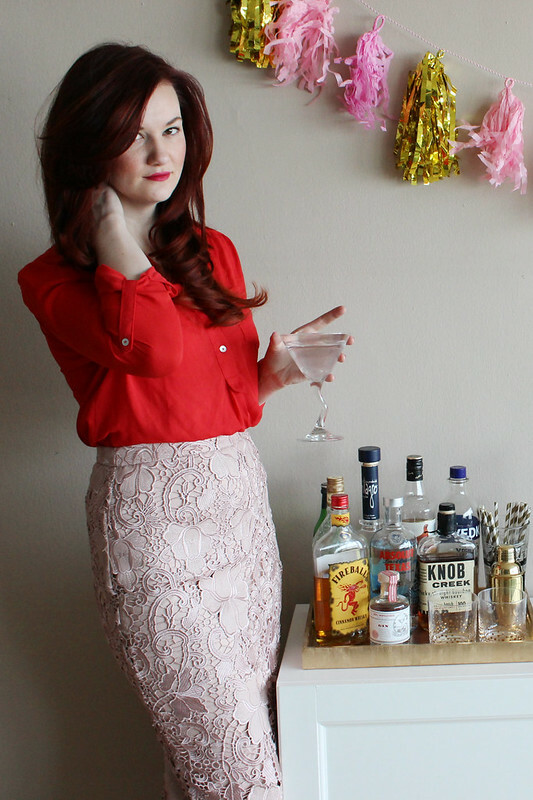 In true vintage style, I polished the outfit off with a bold red lip.